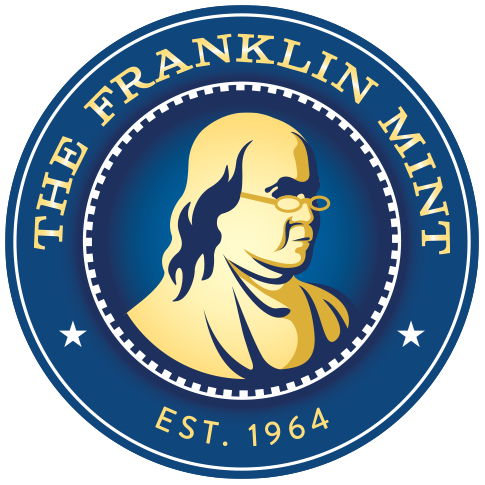 This exclusive Franklin Mint commemorative coin set contains seven full color images on genuine Italian Lire coins. 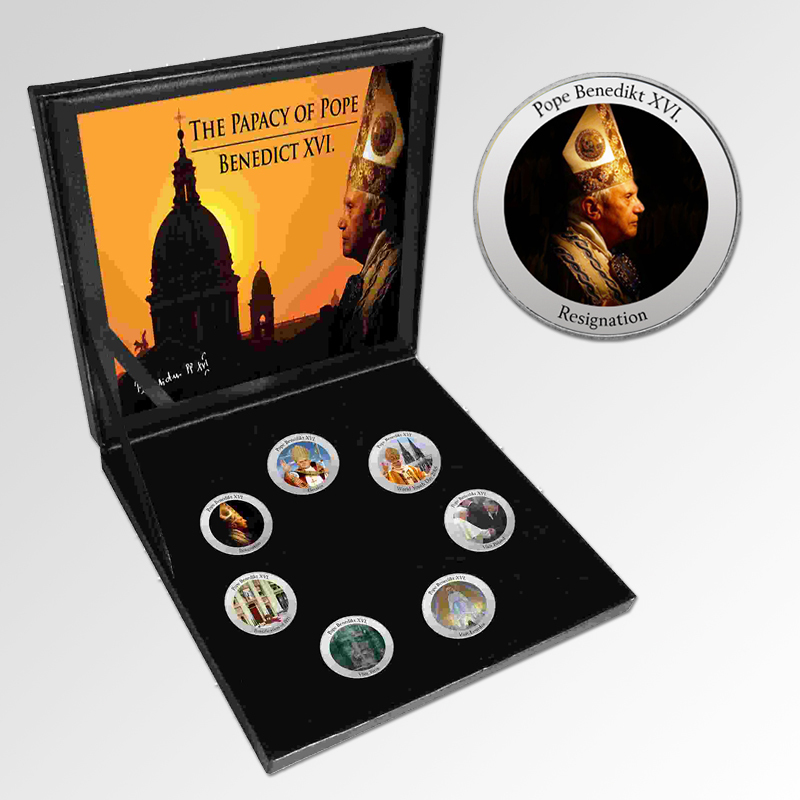 The images depict seven distinct events during Pope Benedict XVI’s tenure. Each coin is protected in a crystal-clear acrylic capsule and the full collection is presented in a custom display box.